The stomach is located just under the ribs. Why when we have a stomach ache, do we tend to rub our intestines? How is food digested? Digestion involves mixing food with digestive juices, moving it through the digestive tract, and breaking down large molecules of food into smaller molecules. 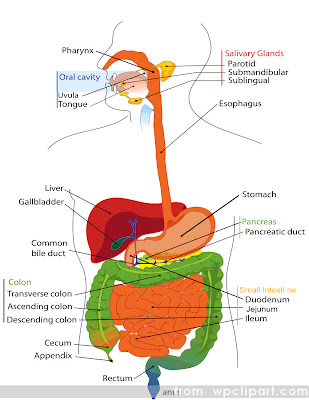 Digestion begins in the mouth, when you chew and swallow, and is completed in the small intestine. (http://digestive.niddk.nih.gov/ddiseases/pubs/yrdd/) As I ate my sweet, the main observation that I noticed was how many different elements of the body have to work hard in order to digest food. On a day to day basis, this is always taken for granted! !